International Fair ARGOEXPO took place from January 25th to 28th at the trade fair Extremadura (FEVAL) in Don Benito, Spain with over 500 companies from the fruit and vegetable industry. 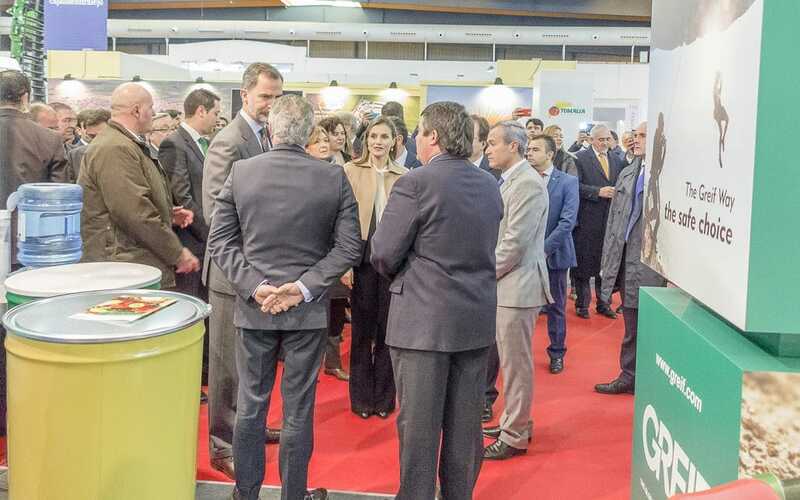 Greif is a founding participant in the exposition, and was pleased to be visited by the King of Spain, Your Highness King D. Filipe and Your Highness Queen D. Letizia. Greif has built a new conical steel drum plant in Don Benito with an expected opening in June 2017 in order to service the needs of its customers in this region. Greif has been selling products to the Extremadura area for over 40 years and opening an operation there solidifies our commitment to the customers and will improve our ability to serve the customers. During the visit with the King and Queen, the Greif team had to opportunity to share what they are doing in Iberia and around the world. The King expressed his satisfaction regarding the new plant in Don Benito and wished Greif good luck in the future.